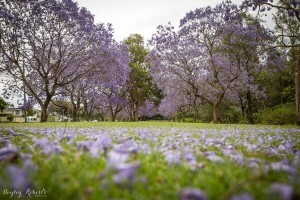 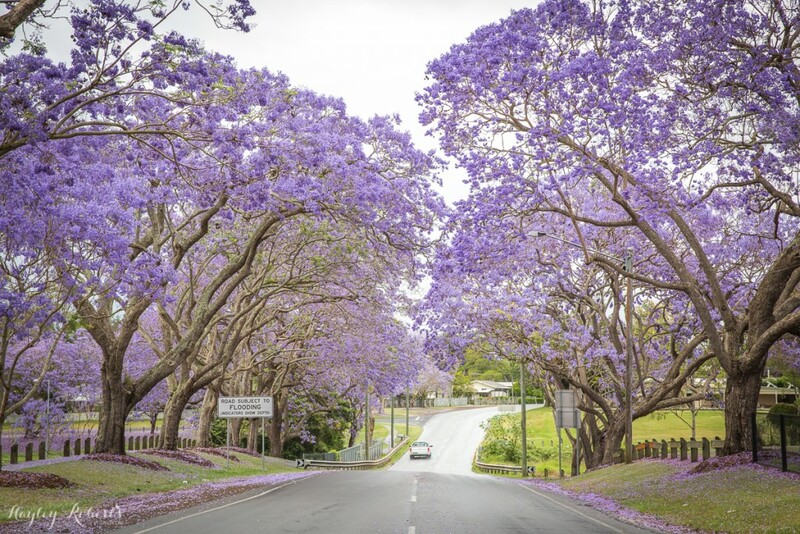 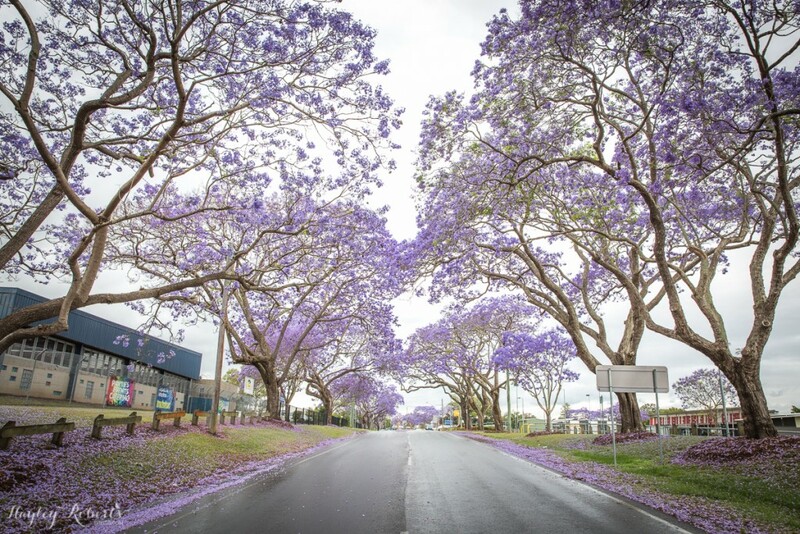 Every September my city (Brisbane, Australia) turns purple when the Jacaranda trees begin to bloom. 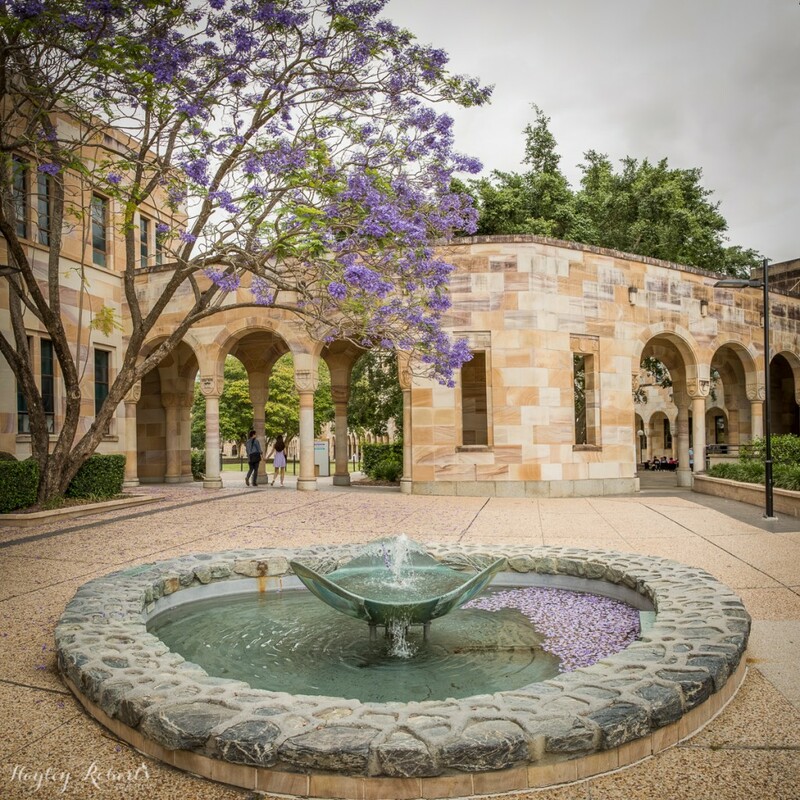 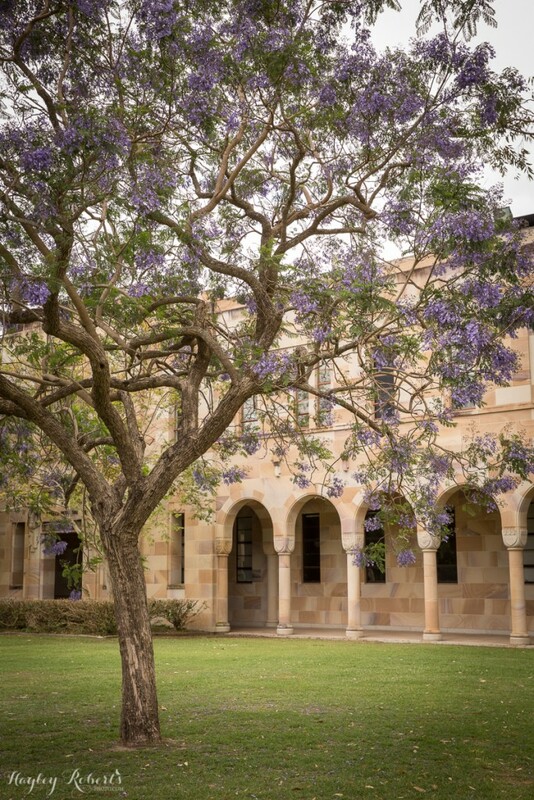 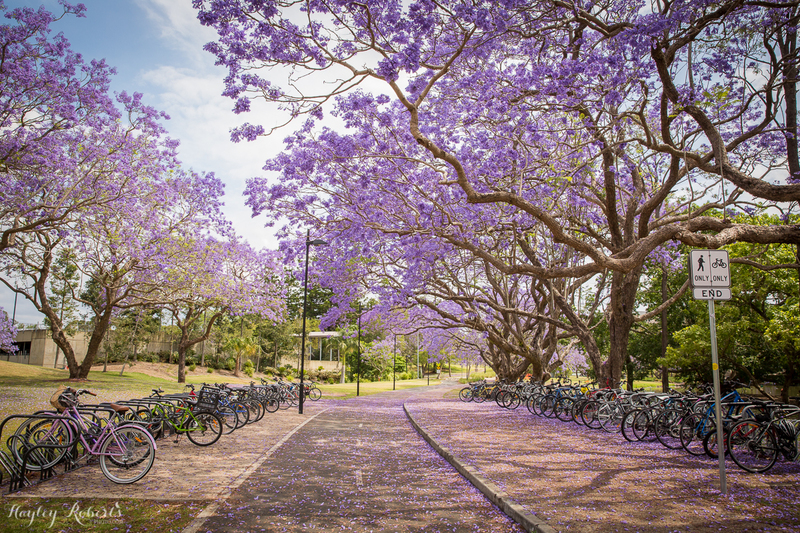 The purple flowers are feared by students because it signifies exams are about to start and relished by locals and tourists because they’re such a beautiful sight. 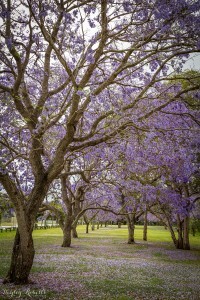 For me it means packing up my camera and heading out on numerous day trips to capture the trees in all their glory. 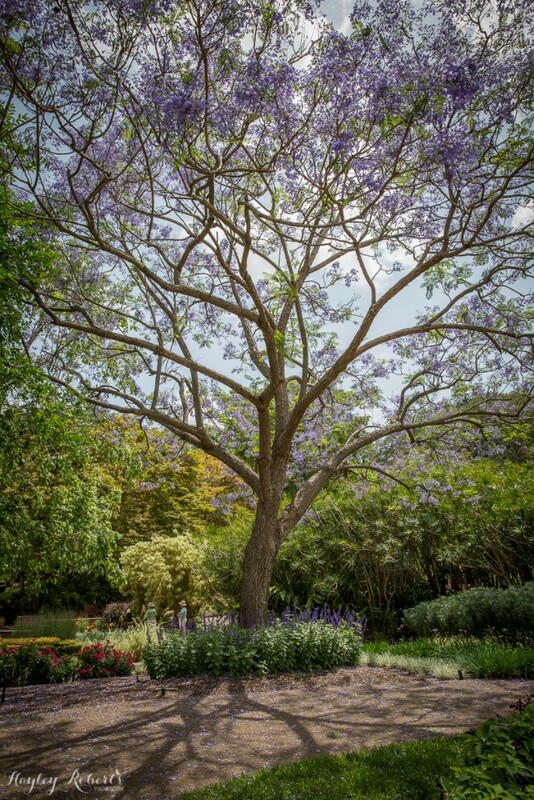 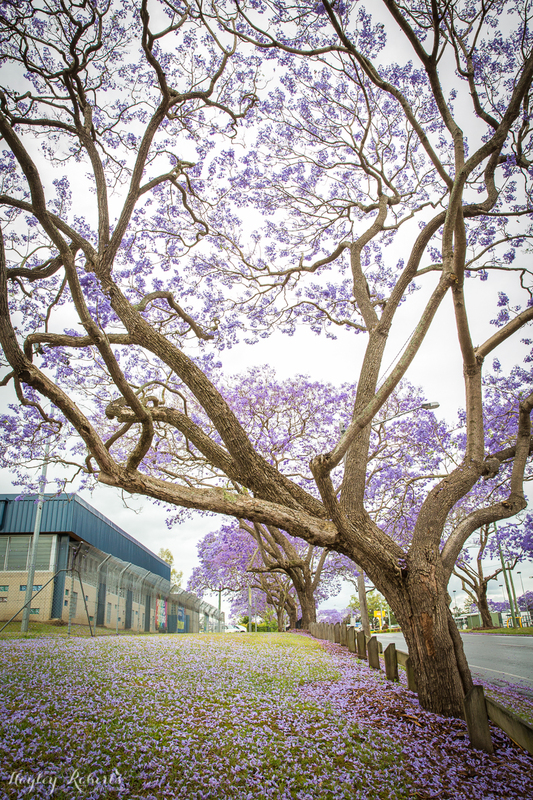 The biggest problem in photographing jacarandas is that for some unknown reason there’s always signs or poles or buildings or other photographers in the way. 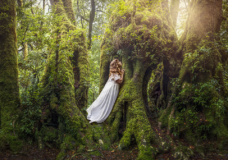 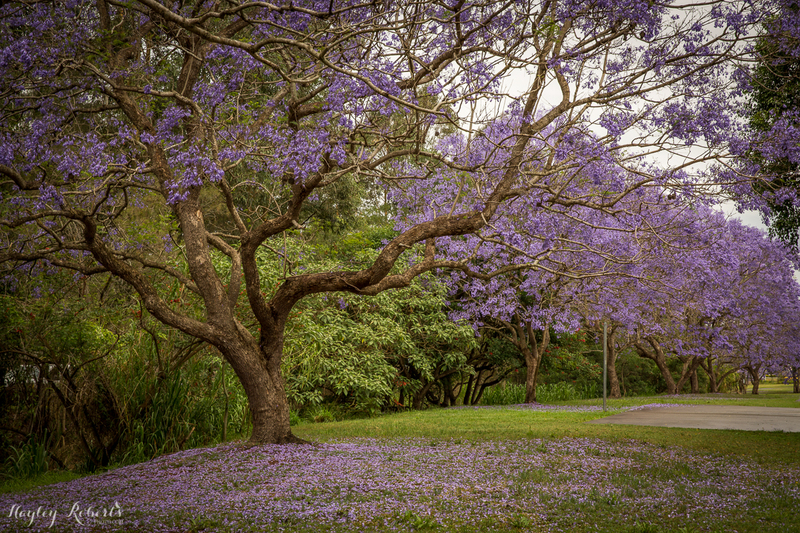 The location I chose for my image this week which I found by accident and I *think* might be Guyatt Park in St. Lucia had a bride and groom being photographed to the left and a guy photographing his girlfriend jumping up at the trees on the right. 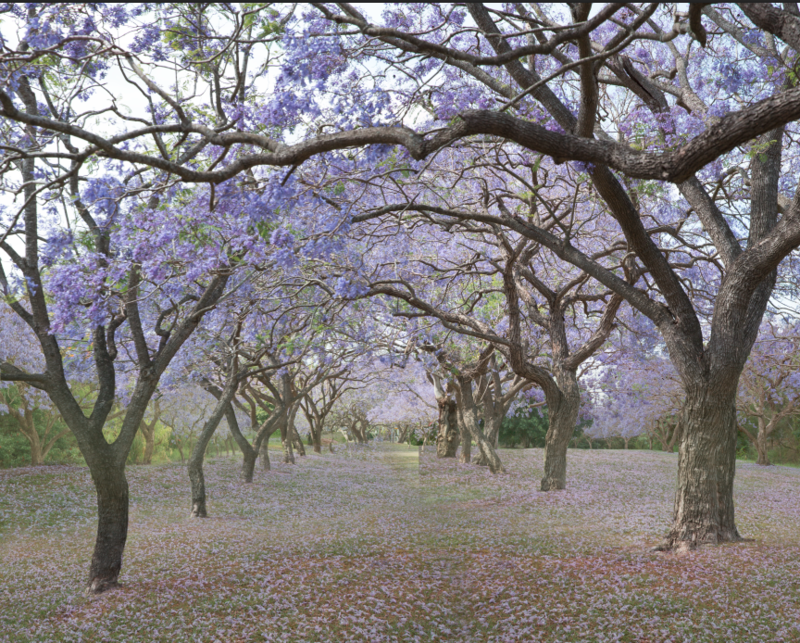 The base photo is created from a stitched panorama of three different images. Thanks to the magic of Photoshop I was able to replace the distracting elements in the original image with a new background of Jacaranda shots taken at other locations. Using the same tactic I also covered the ground with fallen petals. I photographed myself in my backyard in a $5 dress I picked up at a theatre costume sale the weekend before. I had to be careful with posing because I was surrounded by dog poo and mushrooms. I added a different arm, a fuller skirt, and more hair, all toned to match the background image. 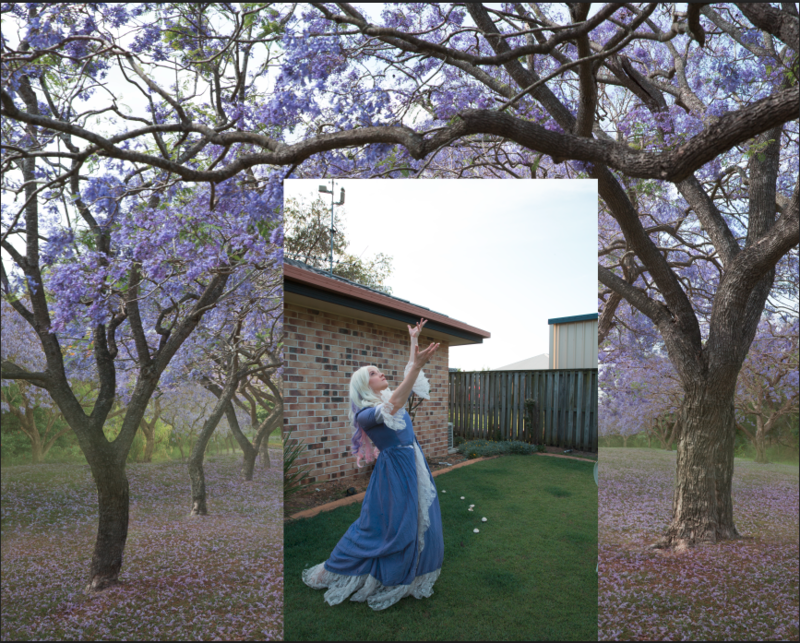 Then I blended some real Jacaranda petals over my dress. 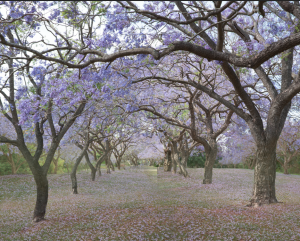 To finish off I added some more Jacaranda branches behind the trees on the top left to block out the sky a bit more. 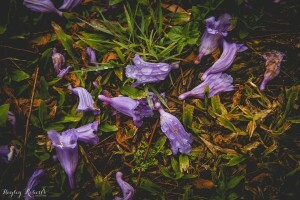 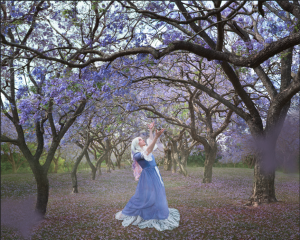 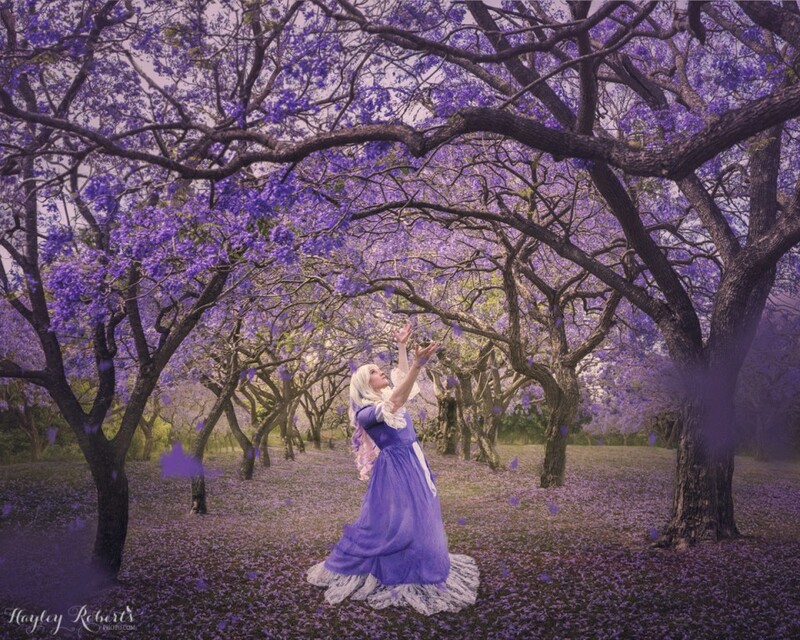 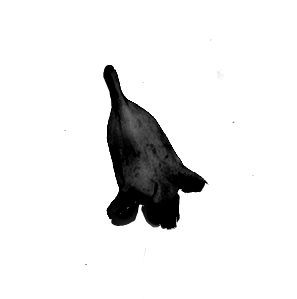 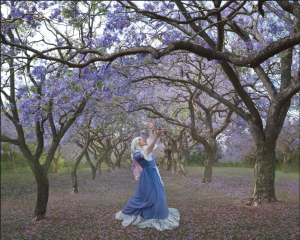 I also added some falling petals by using a photo of a single Jacaranda flower to create a Photoshop brush and using that with a motion blur to paint in falling flowers. 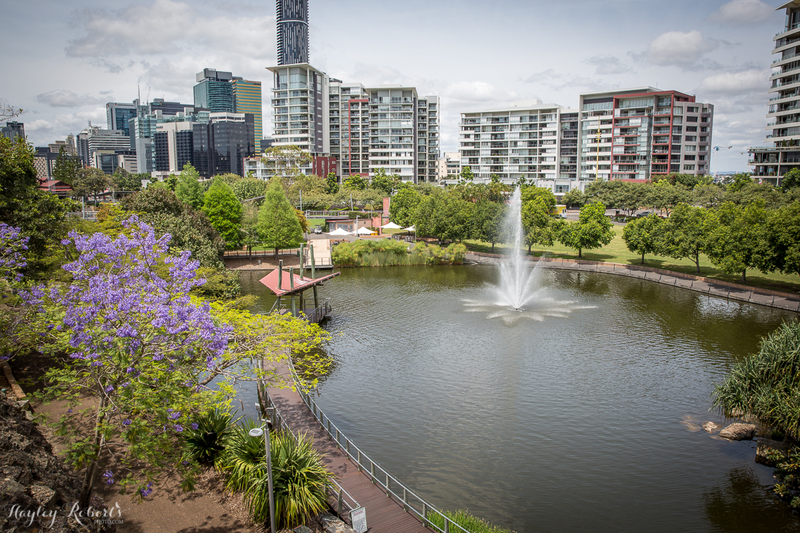 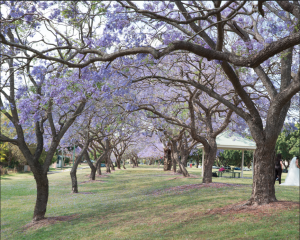 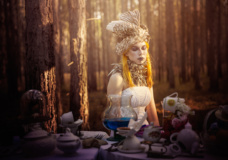 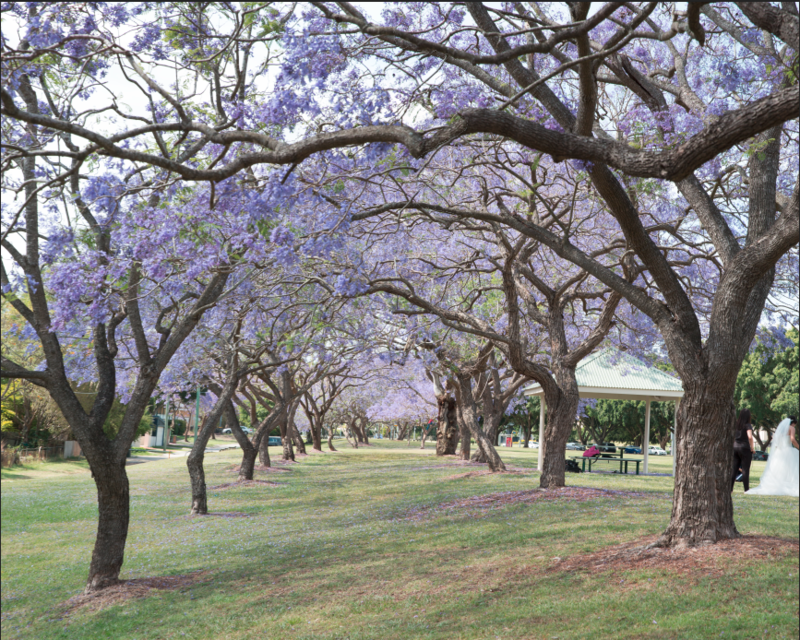 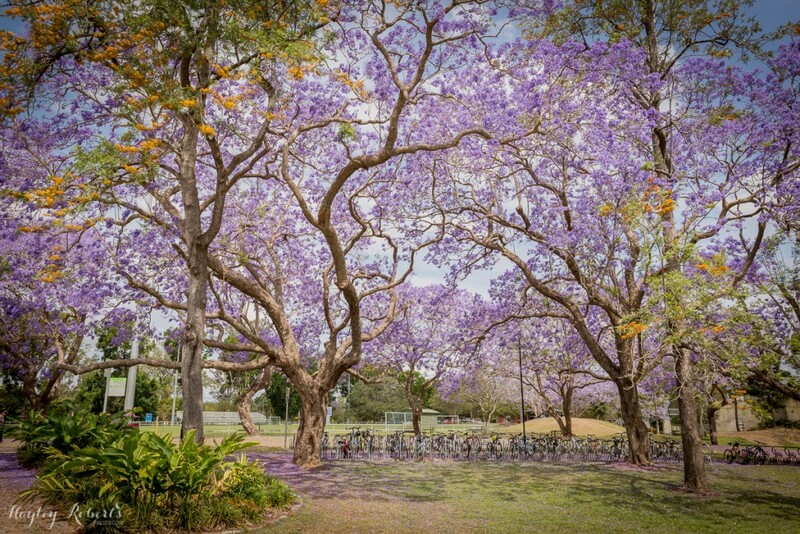 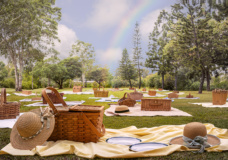 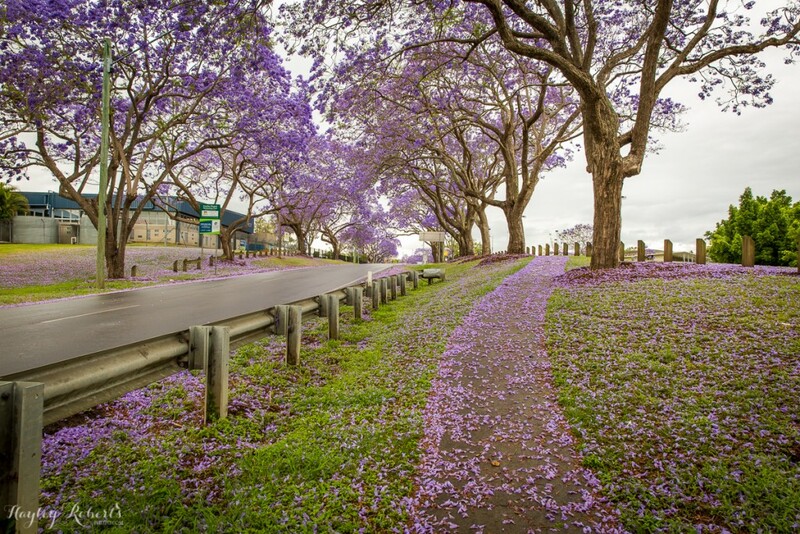 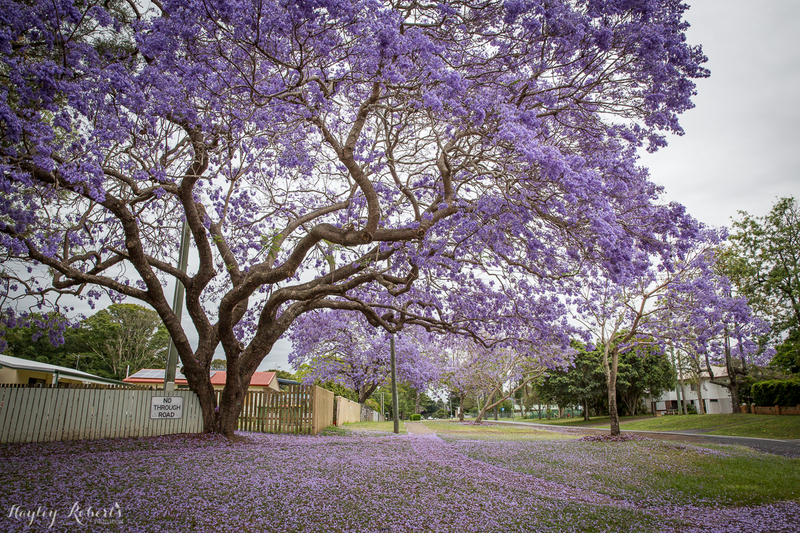 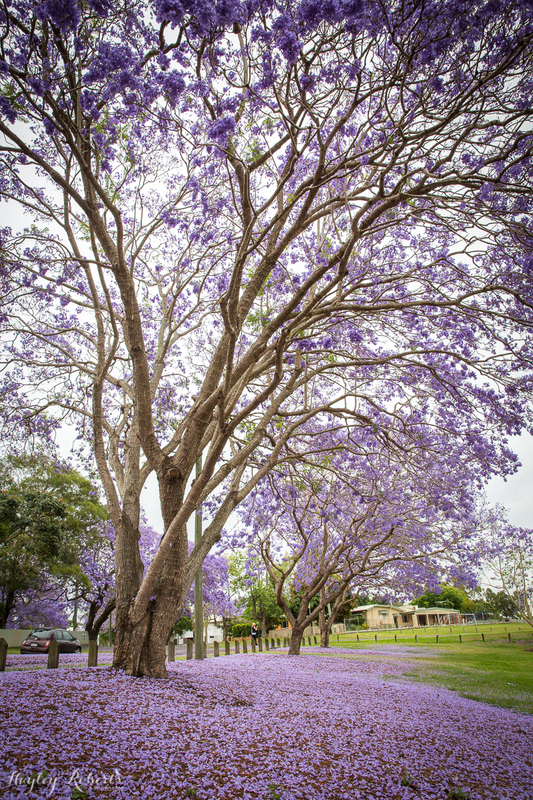 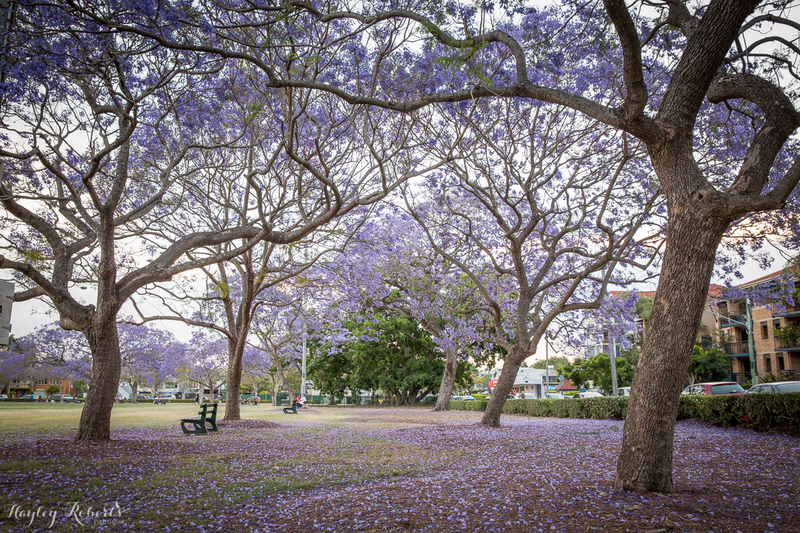 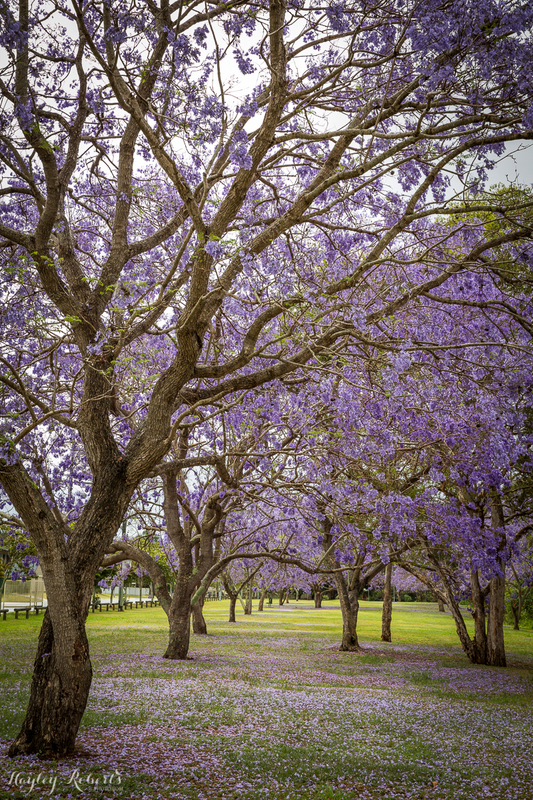 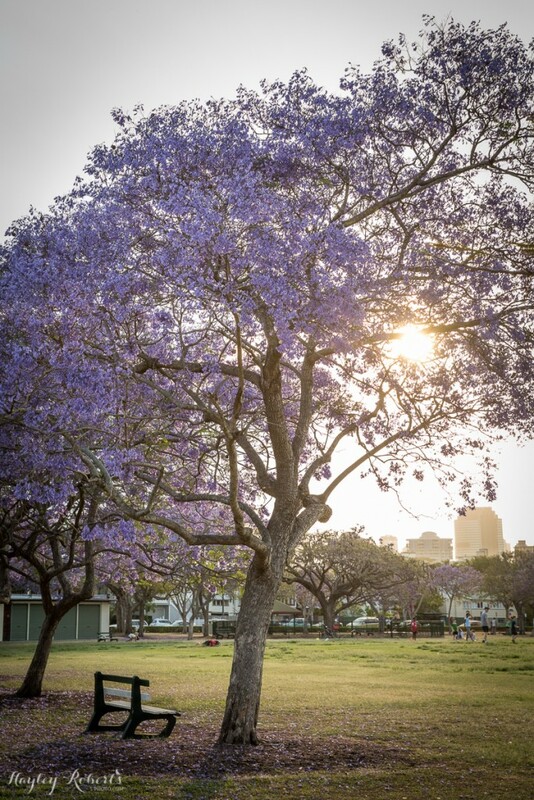 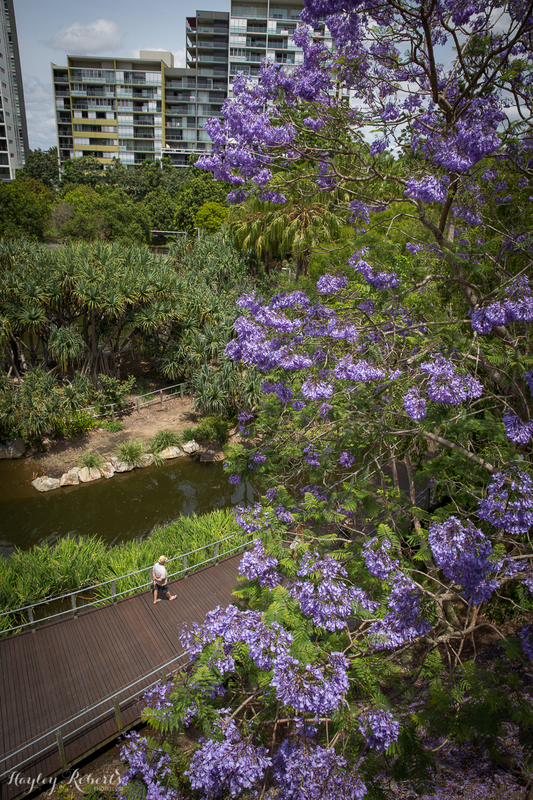 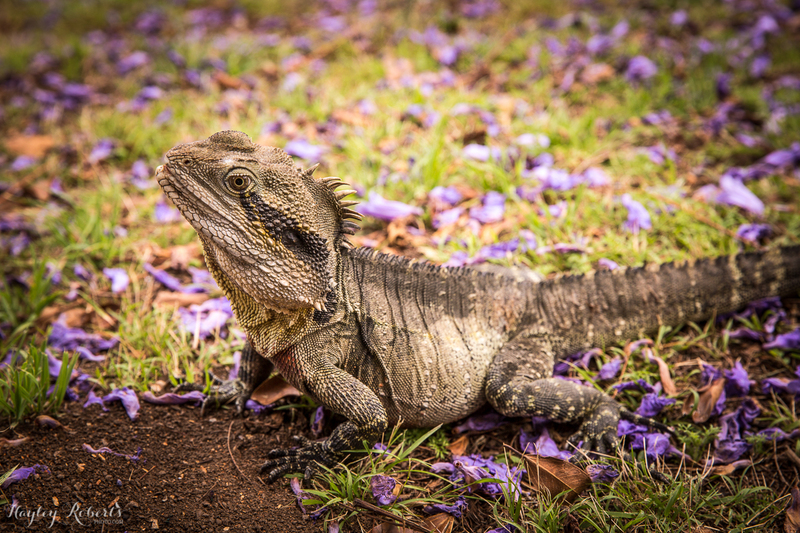 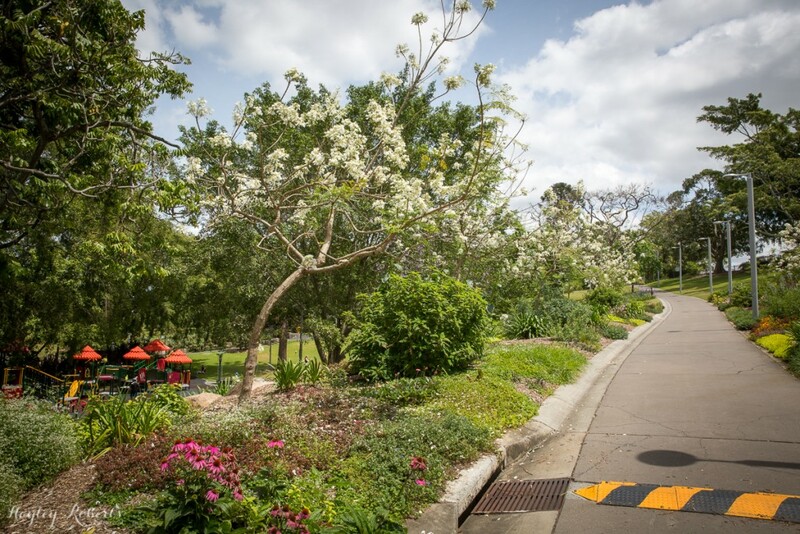 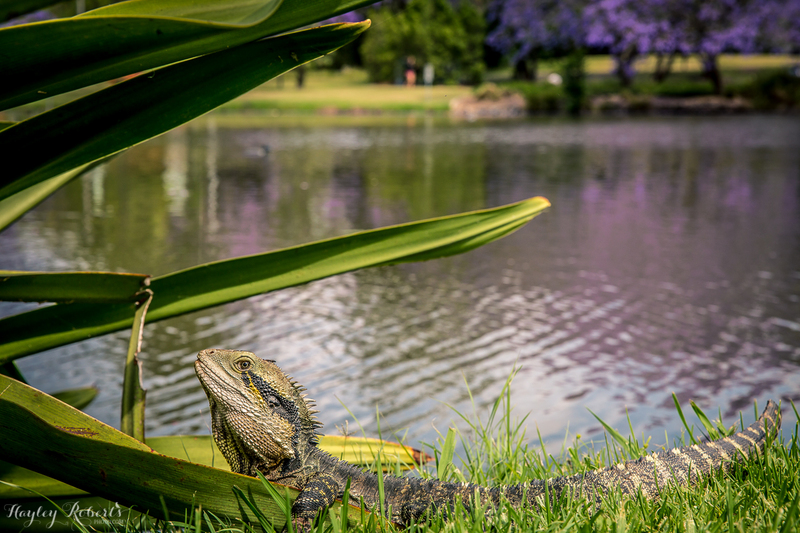 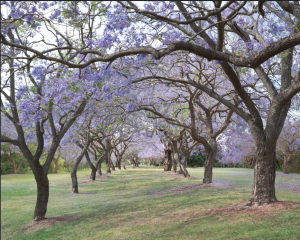 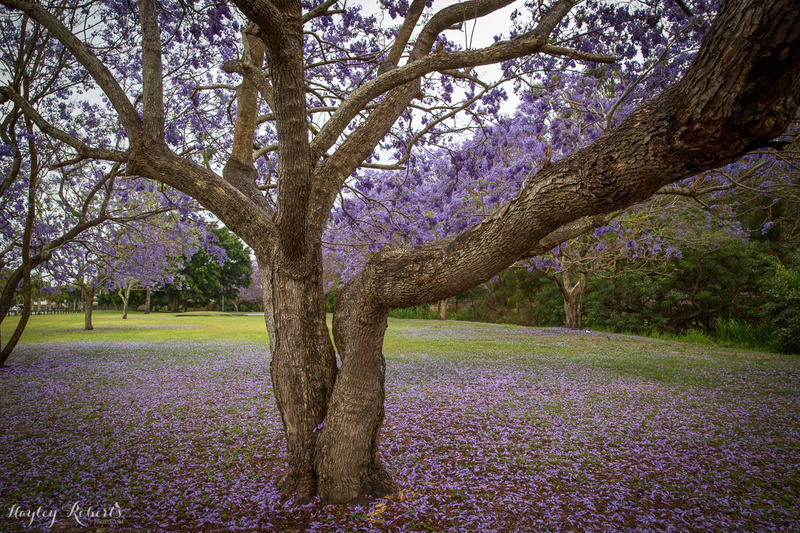 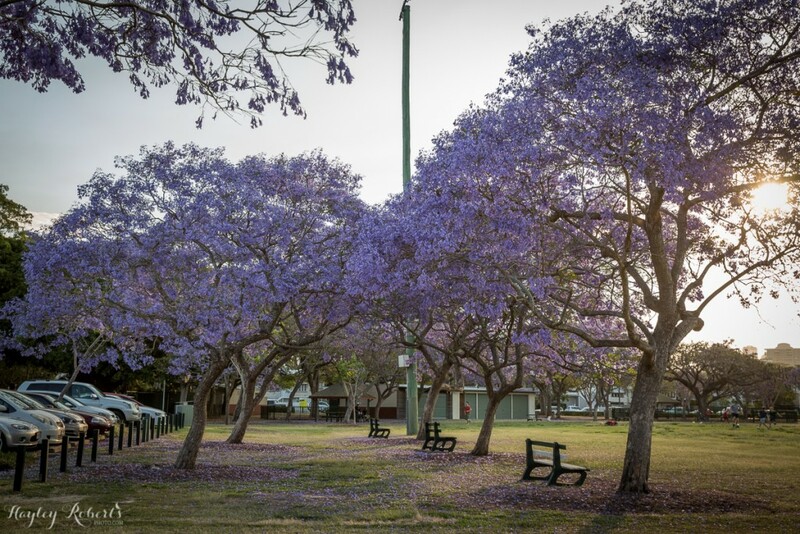 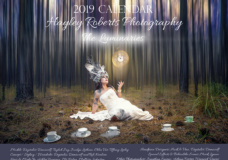 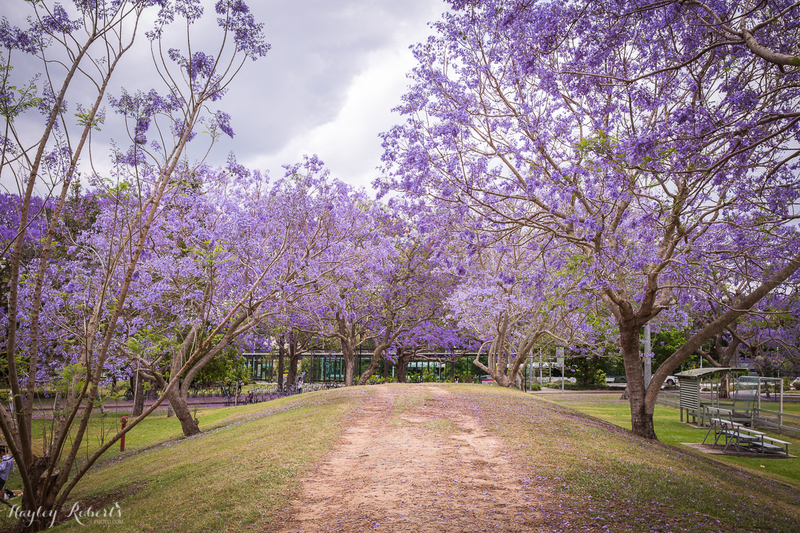 If you know where I can find other great Jacaranda locations in Brisbane, please let me know!